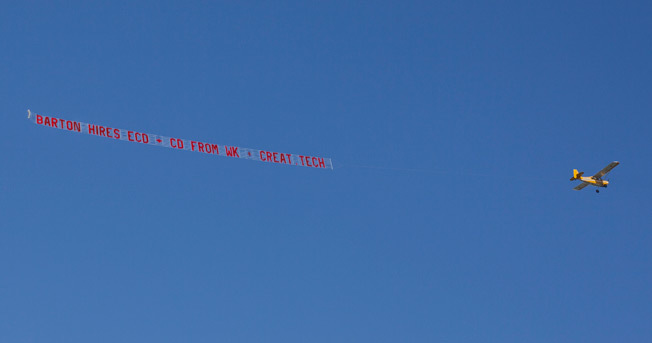 Why send out an email about your new hires when you can rent a plane, attach a banner to it announcing the additions, and fly it around New York City? Barton F. Graf 9000 chose the latter route to introduce creatives Brandon Mugar and Dave Canning, who join from Wieden + Kennedy, and creative technologist Jonathan Vingiano, from OKFocus. A video with a Van Halen soundtrack doesn't hurt, either. More on the new guys below.